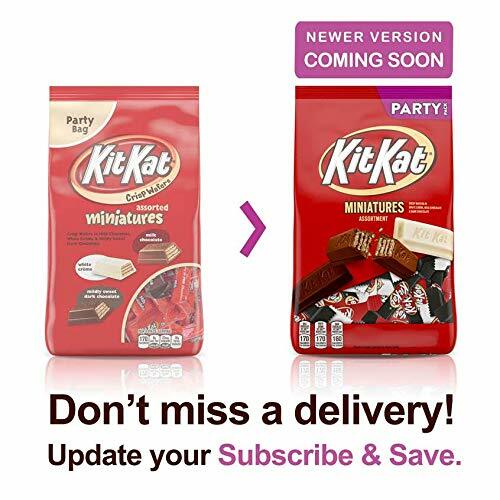 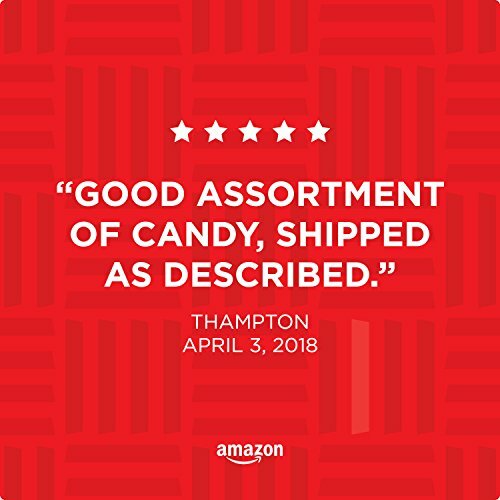 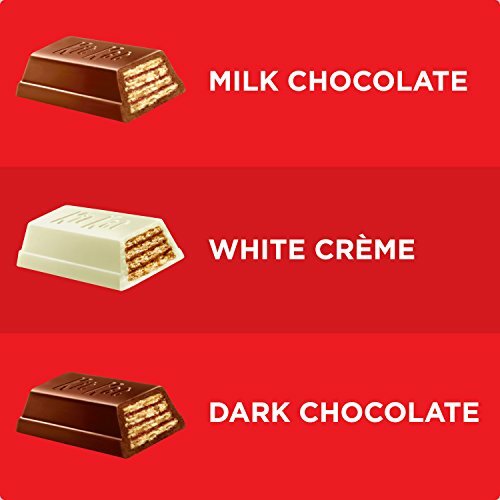 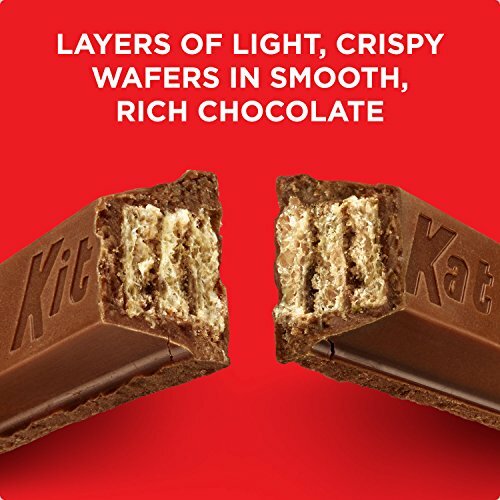 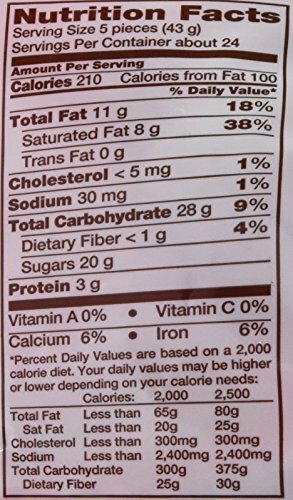 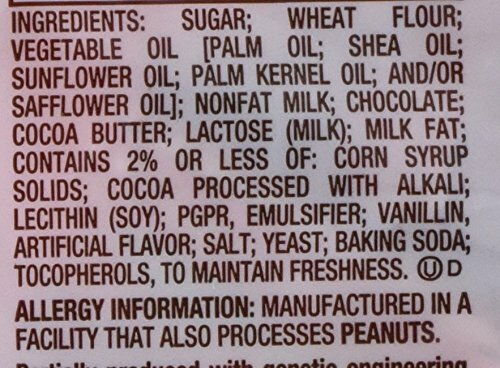 This delicious assortment of KIT KAT Miniatures includes smooth milk chocolate, rich white creme, and decadent dark chocolate varieties all in one bag. 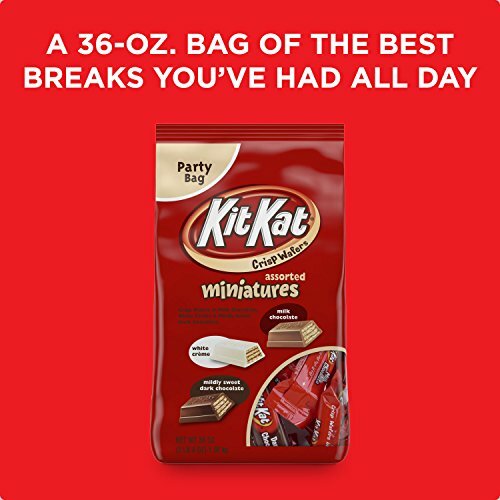 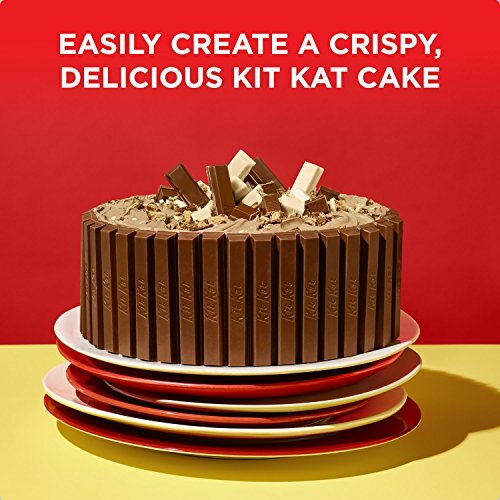 The KIT KAT Miniatures Assortment is perfect for everyday snacking, filling candy bowls and adding to baking and desserts.A delicious assortment of Kit Kat miniatures – with smooth milk chocolate, rich white créme, and decadent dark chocolate – all in one bag! 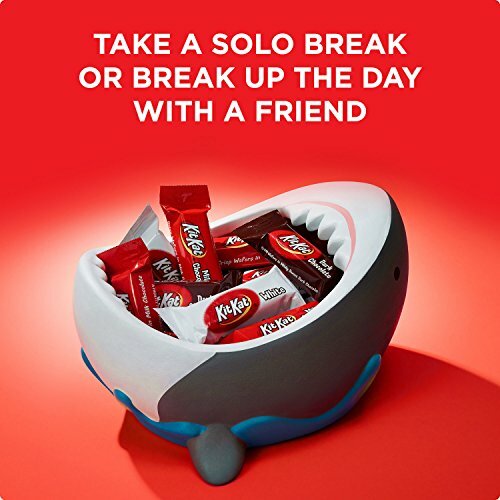 Perfect for filling your candy dish. 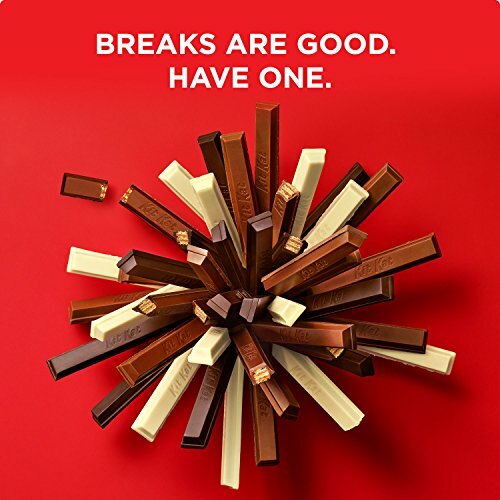 Perfect for office break rooms.